The Airport International LE Classic from Think Tank is a rolling camera case that is designed to be stylish and meet the carry-on requirements for most international and US airlines. This case is crafted with genuine leather accents and panels that complement the Think Tank Urban Disguise Classic shoulder bags series. 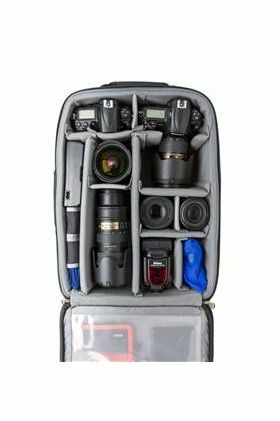 A large, main compartment with adjustable dividers can hold a complete kit for most photographers, while the interior of the main compartment lid features clear mesh panels for easy contents identification. 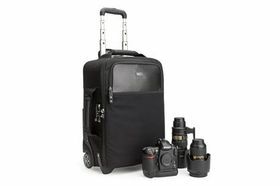 The Airport International LE Classic can fit up to an unattached 500mm f/4 lens, additional smaller lenses, flashes, accessories, and up to two gripped DSLR camera bodies. On the exterior of the case is a stretchable pocket that can accommodate a Think Tank Artificial Intelligence 15 V3.0 or an Artificial Intelligence 17 V3.0 laptop case that are designed for 15.4" and 17.0" laptops respectively. 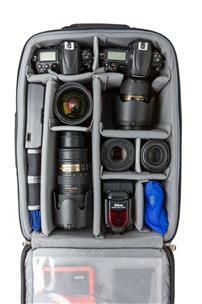 A tripod cup and accessory straps allows camera supports to be conveniently strapped to the side. 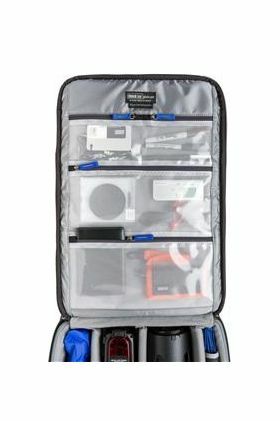 Aside from being able to comfortably hold photo gear, plus a laptop, the case's zippered front pocket organizer provides storage for pens, business cards, as well as small electronics, and features a fob for securing keys or a memory card wallet. 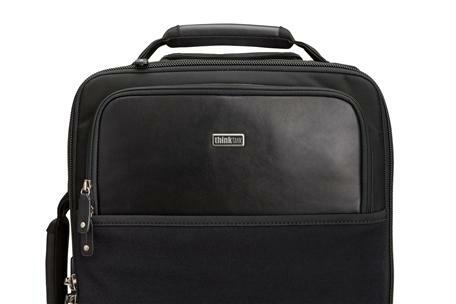 Four handles are included for flexibility while transporting or moving the case, a four-stage telescoping top handle, a leather-trimmed non-telescoping top handle, a leather-trimmed side handle, and a bottom handle that makes it easier to pick up and place the case into airplane overhead bins or into car trunks. 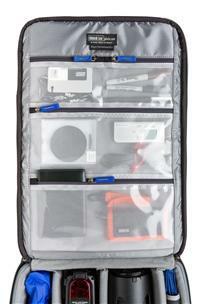 For security, a built-in TSA-approved combination lock secures the main compartment zipper, an integrated rear security cable with combination lock can be used to chain the case to an immovable object such as a pole, and the included front security cable and combination lock is intended to prevent theft of an attached laptop case or keys. 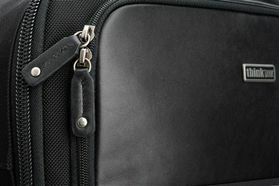 Nylon construction throughout the bag and a polyurethane-coated underside provide a high degree of weather resistance and overall durability, which is further complemented by tall wheel housings that protect the corners of the case from impacts to escalators and curbs. A seam-sealed rain cover is included for even more protection from the elements should the need arise, and if they wear out over time, the wheels are user-replaceable.